In a year where the weird has frequented cinemas, perhaps the newest master has stepped up to the plate. Greek director Yorgos Lanthimos returns to outdo himself after last year’s The Lobster with a film that’s equal parts mysteriously tense and beautifully haunting in The Killing of a Sacred Deer. A film that’s overflowing with dread and absurdity in a way that very few films can match. Dr. Steven Murphy (Colin Farrell) is a renowned cardiovascular surgeon who presides over a spotless household with his wife (Nicole Kidman) and two children (Raffey Cassidy & Sunny Suljic). Lurking at the margins of his idyllic suburban existence is Martin (Barry Keoghan), a fatherless teen who insinuates himself into the doctor's life in gradually unsettling ways. The Killing of a Sacred Deer is the type of film where going in cold will enhance the experience immensely. To the point where discussing any sort of plot details beyond the synopsis above would feel like taking something away from potential audience members. The film will shatter any preconceived idea of what is happening or what is going to happen, and give you something completely different in its place. In a lot of ways, without the right cast or performances, a film as bizarre as this would fail. Fall completely on its proverbial face without even a moment to balance out. But the cast that Lanthimos gets to work with here is impeccable. Colin Farrell is exceptional, as always lately, and does a marvelous job of portraying guilt and stress in subtle ways. Nicole Kidman doesn’t miss a beat in her fairly amazing 2017. But by far the standout has to be Barry Keoghan. The young actor is mind-blowingly good in his role as Martin, bringing the right amount of unhinged and strange mannerisms to set both the characters and audience on edge. 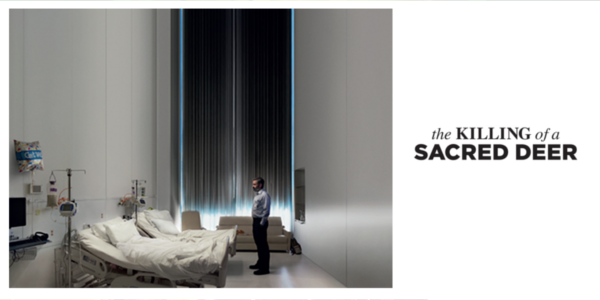 Themes of guilt and regret make The Killing of a Sacred Deer more than just a mystery. They give life to the weird and paint the film more as a horror than anything else. It’s a film that delves into people and how they operate, just with a skin of a far creepier film laid over top. Yorgos Lanthimos directs in a way, with this film in particular, that’s very old school. Everything is symmetrical, in its place, and a testament to how chaotic the events are in a rather standard backdrop. Overall, The Killing of a Sacred Deer is one of the stranger cinematic experiences of 2017 yet it only re-affirms the sheer levels of talent that Yorgos Lanthimos possesses. The performances are incredibly mesmerizing and the environment equally so. There are some minor moments that drag, but they’re the only aspects that hurt the film. The Killing of a Sacred Deer is hard to film to recommend, but those willing to take the plunge will not be disappointed. 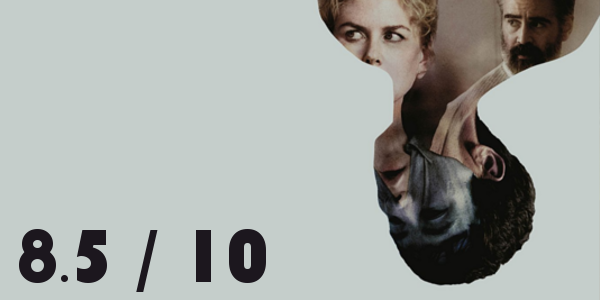 So what did you think of The Killing of a Sacred Deer? Have you seen it? Are you interested in seeing it? Share, subscribe, comment below, and as always return to I Am Sam for weekly reviews and insight.